I am fortunate to work for HERE Technologies because of the flexible work hours. 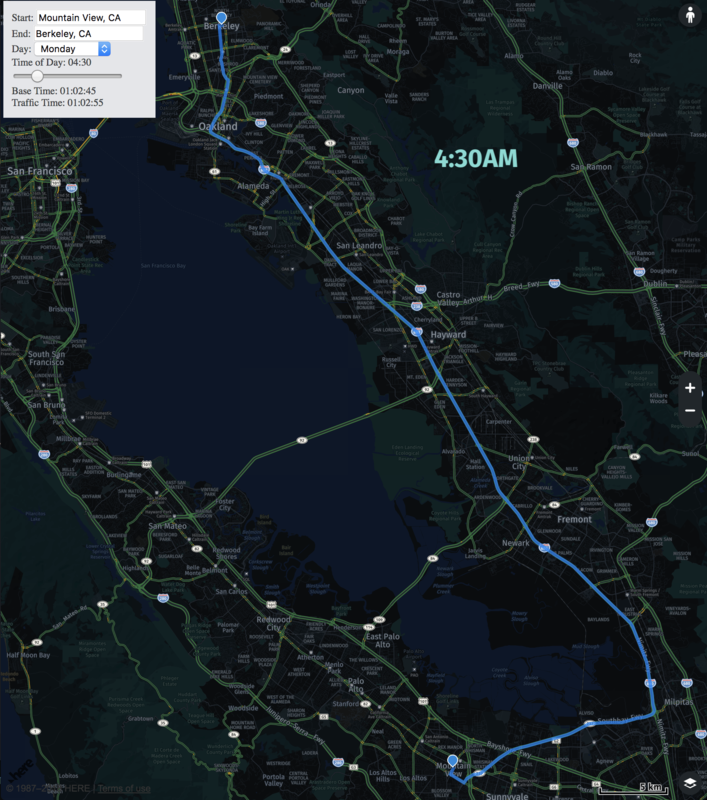 Instead of waking up dreading how bad Bay Area traffic is, I can ask the question -- what time *should* I leave for work to minimize the time it takes to get to the office. If you read our 360 blog post today Understanding the Depth of Traffic Services Available for Developers you can learn a few things about our premium offerings. The dataset used for our Traffic Service is much deeper than the set of red and yellow lines you see on a map. The tools we provide for reporting and updating traffic utilize billions of GPS data points every day. We use more than 100 incident reporting services, data captured from connected-car sensors, smartphones, personal navigation devices, fixed road sensors, smart-enabled commercial vehicles, and expert monitors observing accidents and construction, 24/7/365. The HERE patented algorithms process the accumulated data in real-time and produce an updated traffic picture every 60 seconds -- and we do this at a global scale done with machine learning based models. It's very cool, but unfortunately I can't share the details of how that works with you now. 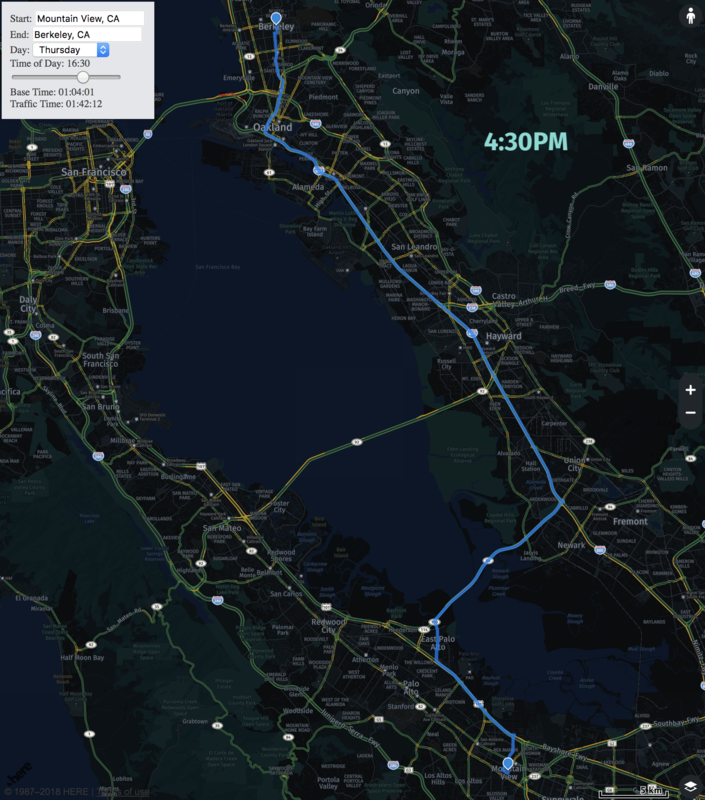 Instead, let's walk through a single-page demo that demonstrates using this data from the Traffic Service to get from Mountain View, CA to Berkeley, CA at two different times of day. The demo has a control panel so that you can edit the start and end locations, modify the day of the week and departure time with a slider to see the impact on traffic time and route. To run, you can download the full listing and sign up for your own developer account with an app_id and app_code. Reach out or comment if you have any questions or want to learn more about traffic services.